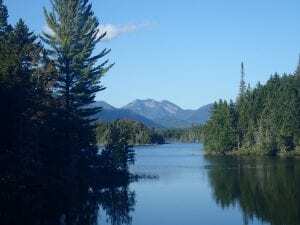 What happened to the Adirondack Park Agency’s classification of the Boreas Ponds Tract? Months have passed with no sign of it on the APA’s monthly agenda. Information does seep out here and there, and it’s not encouraging. By now it’s no secret that plans are afoot for the Boreas classification that have nothing to do with the intended, legal process: namely development of the Draft Supplemental Environmental Impact Statement (DSEIS), public hearings and public written comments and analysis, all leading to a recommended alternative. Instead, the State is scrambling to find a way to accommodate the wishes of Governor Cuomo, who fancies a “hut-to-hut” system in the Adirondacks that includes facilities at Boreas, a development not contemplated in any of the four currently proposed alternatives. This is not how it is supposed to work and it raises questions of who is accountable for a classification process gone wrong. Some point the finger at Governor Cuomo, who has made no secret of his plans. Some focus on the Department of Environmental Conservation (DEC), which has told some stakeholders in the Boreas debate that they are looking at ways to satisfy the Governor’s wishes despite the fact that the lawful process so far has made no accommodation for “huts” or related infrastructure. Most of the scrutiny, however, is falling on the APA itself. That’s appropriate, as it is their job to recommend classification of the Boreas Tract. But “the APA” is a simple label that glosses over an important distinction. The APA has two parts: the professional staff, headed by an Executive Director, and a Board of Commissioners with a Chair. Everything I’ve seen and heard tells me the staff has been doing their jobs to the best of their abilities, and I would imagine they have been doing so under intense pressure. But it’s the Board that holds the power to make policy and submit formal recommendations to the Governor. Ultimately only the Board can choose to follow the process the right way or not. We need to hold them accountable. The APA Act empowers a Board of eleven Commissioners, three of whom come from State agencies, and eight members, including the Chair, who are appointed by and serve at the pleasure of the Governor. But while these Commissioners serve under the Governor and make recommendations to him, they do not answer to him alone. Under the APA Act they answer to the law, namely the Act itself, the Adirondack Park State Land Master Plan (APSLMP), and the Adirondack Park Land Use and Development Plan (APLUDP). Most important, the Board answers to the people of New York, through open meetings, public hearings and written comments, all of which are specifically provided for under the Act. I’ve been involved in politics for the better part of five decades and I understand the pressure attendant to being a political appointee. But the Adirondack Park has always been bigger and more important than the term of any Governor, and the vision that sustained more than a century of protection for this internationally significant jewel is bigger than any single policy initiative. We can look at lots of players in the Boreas classification and we can legitimately hold differing views on its best use and protection, but only the APA Board can ensure that the legal process is followed. If it takes a measure of conviction and independence to do that, so be it. These broad powers explicitly include things like the right to sue or issue subpoenas. They also grant the right to create and empower any kind of executive structure necessary to discharge their duties. Finally, they have precedent. Not only is Adirondack Park history replete with examples of courageous decision makers who ignored political pressure to execute the people’s will, so is American history. It is a quintessentially American tradition to question power instead of following it. The Governor has the final decision on the Boreas classification. The Board can only make a recommendation which the Governor is free to accept, reject or remand. But the process to get there is under the Board’s control. So I call upon the Commissioners to exercise their powers and follow the letter and spirit of the APA Act. One need not question the Governor’s motives in order to question the legality of his plans, or even question his judgment in this matter. The people of New York deserve a fair, legal, process. Let us hope the Board will act on that basis. Photo by Phil Brown 2016. View of Gothics from Boreas Ponds. Hey, after the way they handled the Adirondack Scenic Railroad decision, it’s pretty clear neither they nor DEC will do anything to stand up to Cuomo. What Andrew wants, he gets, and to heck with the process. Rubber stamp time. The board doesn’t “make policy”. They ensure that the policy the law (the APA act) is followed. Anything that happens must adhere to the law and I am sure if a decision is made that some do not like they will file suit and we can let the court make sure that the law has been followed. An intensive use classification for a small spot in there is not what I would like to see but if it adheres to the law (like you say the Goverener has the final call) it would most likely stand. Sure they do. They are asked to, in the Act. Following the law includes making policy. Yes, but they are simply following the ASLMP to make a classification. Not making new policy where they are making a change to the plan. I believe we are also still awaiting final classification on many other parcels including MacIntyre E & W. What is holding these up? Many are no-brainers. As the article states, there are four current proposals for the classifications and use of the Boreas Lands. All follow the current guidelines stated under the State Land Master Plan. Saying that the public hearings and written comments lead to “a recommended alternative” is just not the case. You might be able to say of the four alternatives two of them came to the forefront. The delay in classification is frustrating for both sides of this issue. This article also says “The other constituency is the people of New York, who through both public hearings and written comments overwhelmingly supported a classification that protects wilderness over intensive use areas and “glamping.”” Is another statement that from my perspective is not accurate. “The Governor has the final decision on the Boreas classification. The Board can only make a recommendation which the Governor is free to accept, reject or remand. But the process to get there is under the Board’s control.” Are you saying that this Board should not listen at all to the Governor who made several of the their appointments, but the Board is required to listen to all other information from public hearings and written comments. Maybe the Governor should have given out tee shirts and free pizzas to get his constituents to show up at the public hearings. The process has been frustrating for all. Let us all hope that the correct decision is made the first time. To me that decision is real access for all without adversely affecting the environmental infrastructure of Boreas. Agreed, it’s frustrating on all sides. The APA Board is tasked with making a recommendation to the Governor: that’s absolutely a recommended alternative. Well said Pete. We need a lot more pressure on the commissioners to do their job as defined in the law. The Governor’s opinion should have some weight, but this is a democracy that conducts its business under the rule of law. Yes, we have elected representatives to appoint individuals to make many decisions. I don’t want to go to the CA system of prop this and prop that where the voters (many totally clueless on many levels, the people at the APA have much more experience in these areas than I do for example) do all this kind of micro-management. Public comment is just a small piece of the whole puzzle. Exactly, and a good response to Chuck’s second point above. I’m not saying the Governor’s opinion should not have weight. It should – and does, since he gets to make the decision. But the APA Act delineates a process, which must be followed by law, and which ultimately allows the people to weigh in and judge their representation, which is the essence of democracy. Has the APA staff ever recommended anything other than wilderness for purchased properties? I’m glad someone finally noticed there’s a huge disconnect between the board of commissioners and the paid staff. I always laugh when a new APA chair talks about how friendly and reasonable the agency will be now that he/she is in charge. No it won’t, because it will have the same staff doing what they’ve always done, which is to obstruct the processs and call for wilderness classification no matter what the history of the land in question. I gotta love Chuck Parker’s and “Pablo’s” comments…….pretty much hit the nail on the head and I can’t help but wonder………. -Is Pete Nelson truly frustrated because he just didn’t get his way or is his bigger concern all the money that was spent on the green T-Shirts and busing folks to the hearings to create the impression that a “Wilderness” classification was the only acceptable classification……..
“overwhelmingly”.. “holistic wilderness-centered classification”…….unbelievable Pete….truly unbelievable! Hi there, Tim, my boy! Honestly, I’m so happy, living here in the Park, that I can hardly stand it. No frustration, just happiness. Watching you be silly-dead-wrong makes me happy too. Adirondack Wilderness Advocates offered no buses, no pizzas and no T-shirts, yet rallied thousands, who of their own accord were interested in Wilderness, not selfish myopia. How many comments were there? AWA (remind me who these folks are?) were responsible for rallied “thousands” of those comments. Really? 3) Regulate those who would clear cut, lumber off what remains as it recovers. 4) Preserve what is one of the best of the ADK’s…not just conserve it. 5) Maintain a presence for climate change research and mitigation practices. Clear cut? What? Totally impossible and maybe a comment made to mislead? Recovers? This “gem” (Nature Conservancies adjective) has been logged for about 150 years. I have not been there myself but the pictures are amazing now. Yes, recovery Paul. Consider the amount of biomass that has been removed over those 150 years, thus not contributing to the soil biome – buffering capacity, organic deposition, runoff resistance, etc.. Just because it looks nice and orderly to humans and whitetail deer doesn’t mean there are no long-term consequences to logging. It will recover, but it will take more than our lifetimes. I realize that the point of Pete’s article was not to re-open the wilderness/wild forest debate, but I just can’t stand to read another Almanack comment on the young people that were said to be “bussed in and given free pizza and t-shirts.” I have never known a politically-engaged college student to speak up for something simply to receive free swag. I have known dozens of students that think critically about all sides of a debate, and chose to advocate for an argument based on their values and the available scientific evidence. Of course, there are exceptions and outliers to any community, but on the whole, I am quite sure that all young people who spoke at the hearings chose to be there because of their personal desire to be engaged citizens. We should be proud that the Adirondacks inspire people of all ages, from all across the state and country, to make their voices heard. We should pay special attention to those voices representing the age group that small towns need to revive their aging population. Give politically engaged young people the credit and respect they deserve. Disagreeing on an issue is different than disregarding an entire segment of the population because of how they were transported to a public hearing. We won’t attract the next generation back to this incredible region if we don’t respectfully acknowledge their energy and capabilities. Erin, I have seen lots of grey haired types at these things. I hope you are right that it is younger folks getting involved. Please digest Erin’s comment, above. Here we have an informed, rational and impassioned statement, with which those of you who are used to the status quo had better get comfortable. Young, intelligent, thoughtful people are engaging in Adirondack issues because they understand how much this place matters, on a global scale. They are going to challenge old ways of thinking and effect change, right here in the North Country. The credit for a huge outpouring of support for Wilderness in the Boreas classification, which Tim-Brunswick assumes was due to people like me buying favor, actually owes me and my established peers about 2% of the credit. Erin and her peers deserve 98% of the credit. I can’t wait to see what they do next. Erin, Tim-Brunswick was perhaps not worth your investment, as he just flames from time to time. But lots of people read the Almanack, and almost all of them are worth your investment. I’m grateful for your participation in these critical issues, which so desperately need fresh, intelligent perspectives. You said your group ralllied thousands above that’s got to be more than 2%. Would voting ‘yes’ to a Con-Con have any bearing on this, or similar future actions by APA? No, I don’t think so. I’ve seen no heard nothing on the horizon that would apply to the APA Act, the SLMP or the LUDP. The dangers in a Constitutional Convention (over which I have mixed feelings), would be at a higher level – that is, Article XIV itself. 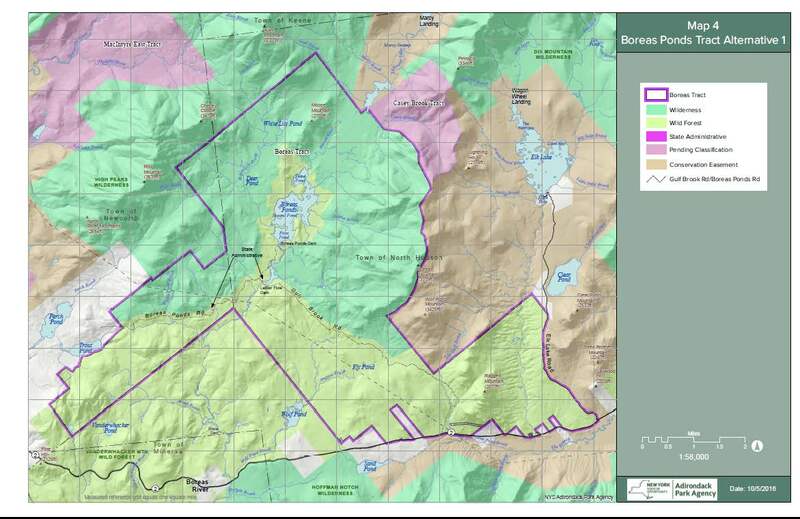 Let’s keep in mind the memorandum for public distribution released by APA State Land Chair and Member Richard Booth in June 2016, where he lays out in detail why the State Land Master Plan classification guidelines presume a Wilderness classification at Boreas Ponds. I’ll forward it to anyone who asks. Thank you, Pete, for a fine post. I agree. No shady deals for the governor’s pet project! Rumor has it that Gov. Cuomo is a bully to those under him, but I hope that the APA has the political fortitude to do its job despite any bullying that he exerts.